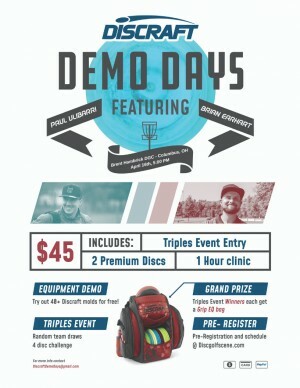 Welcome to Discraft Demo Days! At a Discraft Demo Day, expect a unique, one-day event that balances top tier disc golf instruction, risk-free equipment demoing, and competition for all skill levels! 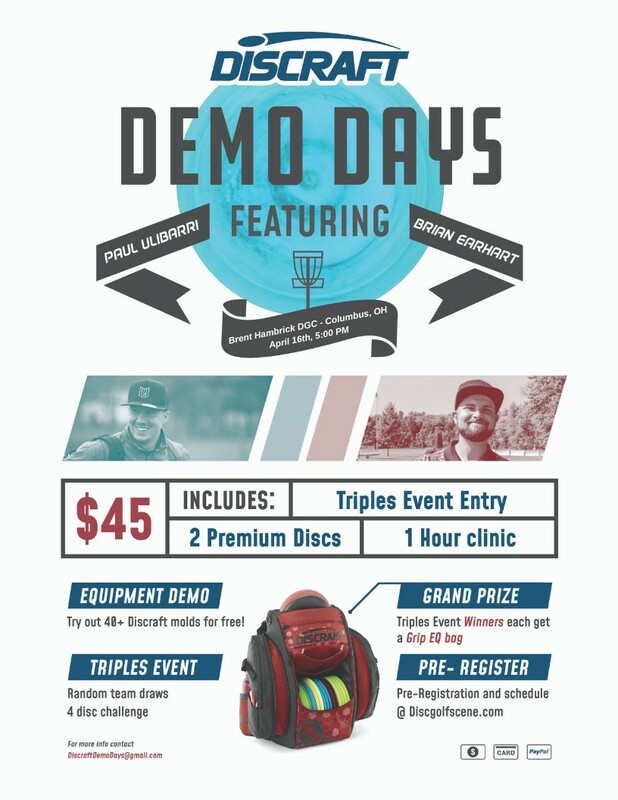 4:00 PM - Player check-in and FREE Equipment Demo with over 40 different Discraft molds in various plastic and weight combos. Try before you buy! 5:00 PM - Hour long clinic with Paul Ulibarri & Brian Earhart. Forehand and backhand mechanics will be the primary focus with an open Q & A for remaining time! 6:00 PM - RANDOM DRAW BEST SHOT TRIPLES (4 disc challenge, choose 2, bring 2). At check-in, players will get their choice of 2 Discraft discs to use alongside 2 of their own. Those will be the only 4 discs that the player can use during that round. Discraft Disc Golf is responsible for all refunds and cancellations.